Dr Vicki Williams is the Lead Consultant at The Laurels in Lincoln. 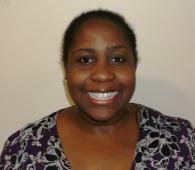 Originally from Barbados, Dr Williams moved to the UK where she did her postgraduate training. Her specialist training was in Greater Manchester and her main interests are trauma and neurorehabilitation.